If youâ€™ve ever suffered from an eczema outbreak then you know how annoying of an infection it can be to deal with. The red rashes on your skin, the constant itchiness, the way your skin flakes offâ€¦ itâ€™s an embarrassing skin problem to have. Itâ€™s also a skin problem that doesnâ€™t differentiate between people, and can attack anyone randomly. Drinking plenty of water throughout the day (at least eight glasses, if not more) will help keep your skin adequately hydrated and will help flush out any lingering toxins in the body. Eczema thrives on skin that is dried out, so ensuring that you drink plenty of water and keep your skin as hydrated and moisturized as possible is important to fighting it off. Also steer clear of taking showers that are too hot, opting for warm showers instead, as hot water also dries out skin. This oil is used frequently to help keep any recurring flares of eczema at bay, and can be applied directly to affected areas to help alleviate any rashes. It also helps to keep your skin and scalp moisturized, and many people swear by its healing effects. Vitamin E is found naturally in several food sources, such as eggs, however we donâ€™t always get enough of it. Itâ€™s vital, especially to those with weaker immune systems, that you are getting the appropriate amounts of vitamin E each day. Taking a vitamin E supplement or applying a Vitamin E cream can help the body to fend off a flare up of eczema. The vitamin also helps to regulate the immune system in the body and keeps the body moisturized. Drinking loose leaf oolong tea has been known to also help reduce the symptoms of an eczema flare, decreasing the itchy feeling that accompanies the rash and helping to clear up the affected areas of skin. 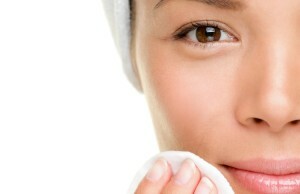 Continued consumption has also been linked with erasing the symptoms of eczema entirely. Many people have found that eliminating overly processed foods from their diet has helped to relieve eczema symptoms. Eating a diet that is rich in healthy foods found in their purest forms helps your body to function at its optimum levels, which is vital when itâ€™s trying to fight off an infection such as eczema. Unfortunately the causes of eczema are unknown, and a treatment that completely cures eczema sufferers has yet to be found. By using these natural, in-home treatments, however, you can help keep any eczema flares at bay and stimulate a healthy environment that is prepped and ready to combat any upcoming infections. Keeping your immune system operating at its highest capacity is one of the best things you can do to help fight off any flares, making it imperative to drink enough water, fill your body with healthy foods, and find natural remedies for common ailments. well the natural remedies mention above are really very effective and really work. thanks for sharing.